SOF News Update 20181205 – Maritime aspects of the Yemen conflict, IS in Iraq, contractor fraud at BAF, podcast on TJ18, US cyber strategy, a CIA historian, true origins of ISIS, botched IDF mission in Gaza, Iraq’s Islam, report on AMISOM, Menton Week at 1st SFGA, LTG Clarke testimony, origins of Special Forces, and more. LTG Clarke Testimony Before Senate. The nominee for command of U.S. Special Operations Command (USSOCOM), LTG Richard Clarke, testified before the Senate Armed Services Committee on Tuesday, December 4, 2018. It went almost two hours. It was informative in a general sense but no real big news. Lot’s of talk about the five SOF Truths. See “Near-Peer Competition Means Relook at Special Ops Missions, SOCOM Nominee Tells Congress”, Defense Media Activity, December 4, 2018. See “Special Ops May Pass More Missions to Conventional Forces, Nominee Says”, Military.com, December 4, 2018. IDF SOF Posed as NGO Workers. Undercover Israelis used fake Gaza IDs and posed as medical workers as part of a botched secret operation in Gaza that took place in November 2018. The mission revolved around the emplacement of listening devices. (The Jerusalem Post, Dec 3, 2018). 7th SFGA Drug Case. Two more people were indicted in the alleged cocaine smuggling by the 7th SFGA Soldier. (North West Florida Daily News, Dec 4, 2018). SF Lineage – Some Controversy. A recent article in Veritas – a print magazine by USASOC (not available online) – had an article about the lineage of U.S. Army Special Forces that has caused some angst in the SF community. It seems the Veritas article states that there is too much emphasis on the Office of Strategic Services (OSS) as the forerunner of SF. Steve Balestrieri, a retired SF WO, provides his view on the Veritas article. (Special Operations.com, Dec 4, 2018). David Maxwell, a retired SF Col, weighs in with his perspective of the Veritas article on the OSS and SF lineage. (Small Wars Journal, Dec 4, 2018). Kerik on the Persecution of a Navy SEAL. Bernard Kerik, a former NYC police commissioner, has come out strongly in support of Special Warfare Operator Chief Petty Officer (SOC) Edward Gallagher. The SEAL stands accused of killing an Iraqi prisoner in Mosul. Read “The persecution of US Navy Special Warfare Operator Eddie Gallagher”, NEWSMAX, December 3, 2018. 1st Group Celebrates Menton Week. On December 5, 1944 the First Special Service Force was deactivated in Menton, France. In recognition of the 1st SSF – from which U.S. Army Special Forces traces its official lineage – the 1st Special Forces Group holds the annual Menton Week that consists of several events through the week. (1st SFGA DVIDS, Dec 3, 2018). 75th Anniversary of 1st SSF at Monte La Difensa. In early December 1943 the U.S. Army was stalled in its advance against German forces in Italy due to bad weather and mountainous terrain. The First Special Service Force was committed to dislodge the Germans from Monte La Difensa. Read more in “75th Anniversary of First Special Service Force at Monte La Difensa”, USASOC DVIDS, December 4, 2018. What is an Advisor? Edward Brown, an instructor at JRTC with significant advisor experience, provides his perspective on the role of the advisor in “The Definition of Advisor: Comprehending the Mission to Advise Foreign Security Forces”, Small Wars Journal, December 4, 2018. U.S. Cyber Strategy Examined. A cyber security expert takes a look at the recent DoD publication on cyber security and provides his thoughts. Read “An Assessment of the 2018 U.S. Department of Defense Cyber Security Strategy”, Divergent Options, December 3, 2018. UW and Conventional Warfare. Ian Langford, an Australian military officer and lecturer at the Charles Stuart University, explains the need for an unconventional warfare capability as well as a robust conventional warfare capability. Read “Finding Balance Between the Conventional and Unconventional in Future Warfare”, The Strategy Bridge, December 4, 2018. CIA Historian. An academic who studied Central Asia gets recruited by the Central Intelligence Agency to do research on suicide bombers in eastern Afghanistan. Read his story in “The Historian Who Went to Work for the CIA to Combat Terrorism”, History News Network, December 2, 2018. Al Qaeda – Not Going Away. An article by Drew McClean, an Australian Army officer, details how the terrorist group has managed to continue its existence, recalibrate its activities and operations, and expand. Read “The Introspection and Rebuilding of Al Qaeda”, Small Wars Journal, December 2, 2018. Russia Wins 1st Round. Steven Pifer analyzes the naval incident between Ukraine and Russia in the Kerch Strait. He criticizes a weak response by the U.S. and Europe to the Russian aggression. Read “The battle for Azov: Round 1 goes to Russia”, Brookings Institution, December 3, 2018. DoS on Kerch Strait. A Senior State Department official spoke to members of the press following his participation in a meeting of the North Atlantic Council about the actions of Russia in the Sea of Agoz. Read “On the Meeting of the North Atlantic Council”, U.S. Department of State, December 4, 2018. Yemen and the Maritime Environment. A British naval officer writes about an infrequently reported aspect of the Yemen war in “Maritime Lessons from the Yemen Conflict”, Wavell Room, November 15, 2018. Report on IS in Iraq. The Islamic State has been degraded significantly in Syria and Iraq. However, it is still a dangerous insurgent / terrorist group that continues to enjoy some support in Iraq and conducts insurgent and terrorist operations. Maxwell Markusen, a fellow with the Transnational Threats Project of the Center for Strategic & International Studies, has penned a 9-page paper entitled The Islamic State and the Persistent Threat of Extremism in Iraq, CSIS, November 30, 2018. Early Formation of ISIS. Hassan Hassan, a book author and student of terrorism, writes that ISIS has deeper and longer roots in Iraq than previously acknowledged. A newly revealed secret biography provides interesting background into the founding of ISIS. Read “The True Origins of ISIS”, The Atlantic, November 30, 2018. Islam in Iraq. Samuel Helfont, an assistant professor at the Naval Postgraduate School, explains Islam in Iraq in “The Legacy of Saddam’s Islam”, The Caravan, Hoover Institution, December 4, 2018. Contractor Fraud. A Virginia firm has been indicted for scheming to defraud the U.S. government in a multi-billion dollar contract for buildings for Bagram Air Field. (Stars and Stripes, December 1, 2018). Top Taliban Ldr Killed by Drone. The shadow governor of Helmand province was killed by a U.S. drone on Saturday, December 1st. (The Washington Times, Dec 2, 2018). CENTCOM Cdr Nominee on Afghanistan. Marine Lt. Gen. Kenneth McKenzie testified before the Senate Armed Services Committee on Tuesday, December 4th. He was asked questions of Afghanistan. In one of his statements he said that the Afghan security forces are taking unsustainable casualties and would collapse if U.S. troops withdrew. He said they are showing improvement, but are too weak to stand on their own. McKenzie has deployed twice to Afghanistan. At one point of the hearing he was asked how many Taliban are in Afghanistan and he responded 20,000. Later in the hearing he revised that figure to 60,000. Like many other generals who have testified before Congress he was cautiously optimistic. Jeff Schogol writes on McKenzie’s testimony in “CENTCOM Nominee Admits Afghan Military Would Collapse If US Left”, Task and Purpose, December 4, 2018. Afghanistan Weekly. An update on all things Afghanistan is provided by Tim Lynch in The FREq posted on December 4, 2018. Tim writes about the prospects for peace (none), the Afghanistan Ulama Council, unintended consequences of policy decisions, and corruption in Afghanistan. Read “Afghanistan Weekly: The pathways to peace in Afghanistan continue to close”. Report on AMISOM. The African Union Mission in Somalia may soon be winding down its operations in Somalia. EPON or the Effectiveness of Peace Operations Network (its longer name) has posted a 110-page report entitled “Assessing the Effectiveness of the African Union Mission in Somalia (AMISOM) published in December 2018. Podcast on TJ18. Admiral James G. Foggo, the commander of U.S. Naval Forces Europe-Africa and also the commander of Allied Joint Force Command Naples (Italy) discussed exercise Trident Juncture 2018 in this 15 min podcast. Listen to “Exercise Trident Juncture 2018 Ends, the Good Work Continues”, U.S. 6th Fleet, December 3, 2018. Video on Idlb Province Syria. The Center for Strategic & International Studies (CSIS) has posted a video about Syria’s Idlib Province. Watch What’s Happening: The Battle over Idlib Province, CSIS, November 29, 2018, 2 mins. 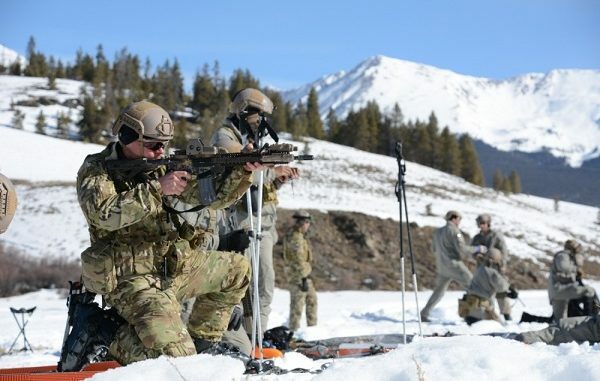 Photo: 10th SFGA Winter Warfare Shooting, Cold Weather training at Taylor Park, Colorado. Photo by SGT Timothy Clegg, March 4, 2016.